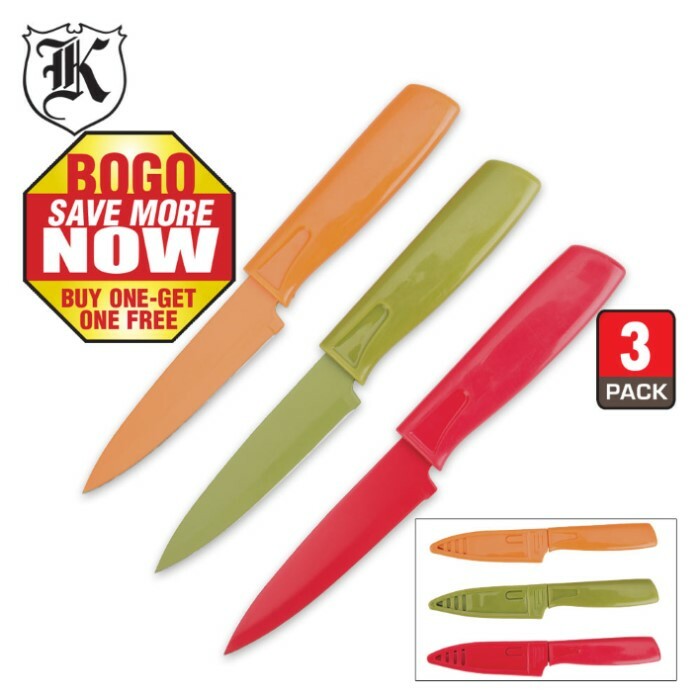 Add a little splash of color to your kitchen with this three-piece set of paring knives. We've updated our best-selling Max Edge pairing knife set, this time with a colorful anodized blade finish. This three-piece set of paring knives features brightly colored handles and razor-sharp stainless steel blades ideal for precise peeling, paring and slicing. Best of all, they're dishwasher safe! Each one includes a matching storage sheath.